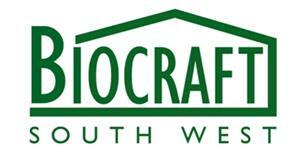 Biocraft South West - Builder, Damp Proofer based in Purton, Wiltshire. As one of the leading specialists in damp proofing, timber preservation and basement conversions, we come highly recommended. Offering a bespoke service and excellent value for money, we are the first choice for property preservation. Biocraft South West offers a fully comprehensive service in combating damp related issues, such as dry rot, wet rot, rising damp, penetrating damp and condensation. As basement conversion specialists we are well versed in industry standards and offer full advice and support on planning applications, building regulations, structural and architectural design and calculations. We are CSRT/CSSW Accredited and a Triton Approved Contractor. PCA members are thoroughly audited and checked regularly to ensure that they meet the highest standards. They must have the correct training and have passed appropriate examinations in order to join the organisation. TrustMark is a government supported scheme which allows property owners to find reliable and trustworthy tradespeople. Swindon, Bath, Bristol and surrounding areas.